Do you have an outfit that makes you feel like you can take on the world? 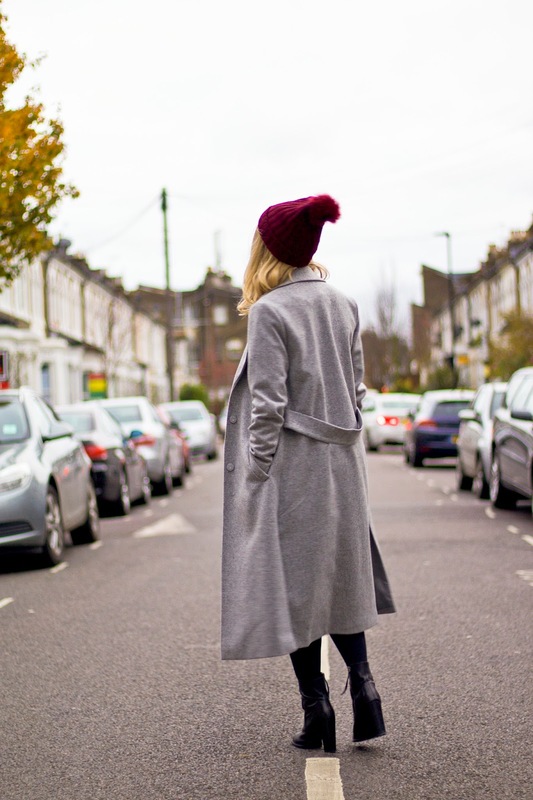 This is the outfit that makes me feel like I can do anything (maybe minus the bobble hat!) It's my 'I mean business' costume. It seems to boost both my confidence and my sass levels. It fits me in all the right places, has an amazing print and it just makes me look put together without that much effort involved. Maybe, it lets my inner Scary Spice out! I am absolutely loving leopard print at the moment - it is everywhere I turn in the shops and I cannot get enough! It's such a fun print to play around with. This more monochromatic skirt from Topshop is particularly versatile. Paired with a splash of oxblood, a calf skimming duster coat and my trusty heeled boots I felt all set to tackle the day. Isn't it crazy how an outfit can feel so empowering. Almost gives you an alter ego! I love the pop of colour with the hat!! Such a cute outfit! I just love how you paired that skirt with a pair of black tights. I love your printed skirt! i love the pop of red your beanie adds to the entire outfit. it just looks perfect. Very beautiful and nice outfits.